Concierge Services of Atlanta, Inc. (CSOA) was established in 1997 by President and owner, Penny Morriss Campbell. 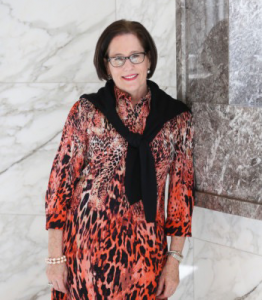 Penny started her career as Atlanta’s first corporate Concierge for Midtown’s One Atlantic Center. After this, she worked for the Washington D.C. based Intercontinental Concierge Corporation as the general manager for their Atlanta office. During her time in Atlanta, Penny recognized a great need for providing specialized services to Class A office buildings. In 1997, she followed her own advice of ”no risk, no reward”, and Concierge Services of Atlanta, Inc. was established. At CSOA, we offer our clients the opportunity to be a part of something special! We offer various levels of service to meet the different needs of our clients. Whether you are looking for corporate, residential, or virtual Concierge service, we can help. Our coverage plans include part-time Monday-Friday, full-time Monday-Friday, weekend coverage, 24/7 coverage, and everything in between. Let us tailor a plan for coverage that meets the specific needs of your property. Interested in joining the CSOA Team? Click here to learn more and apply online.